Here’s the cover for the upcoming Renegades: Declaration. The novella follows the story the Renegades from the perspective of Pixel the engineer. 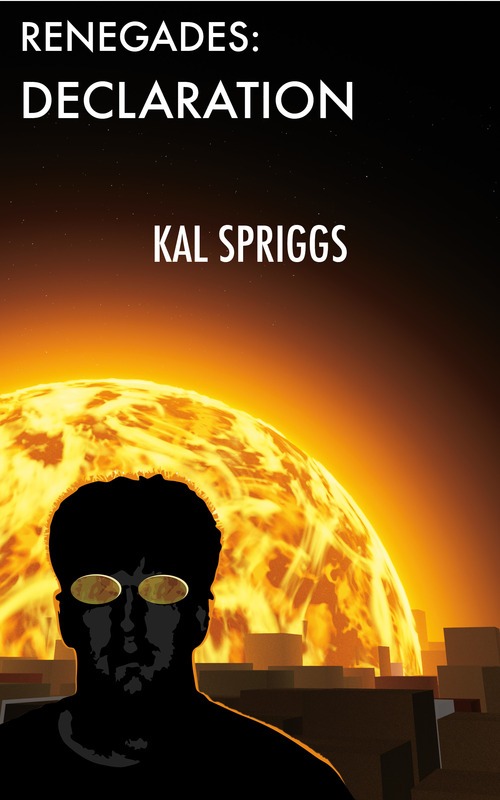 Renegades: Declaration will be available December 1st from Amazon, Smashwords, Kindle, Sony eBooks, and Kobo. So the third Renegades story is on the way, I am happy to say. The final editing is almost completed and the cover art is almost completed. I’m super excited to get this one out. Renegades: Declaration covers the story from Pixel’s perspective, not long after the events of Renegades: The Gentle One. The crew has escaped from Chxor space, and they now face something that might very well tear them apart: selecting someone to be their leader. Pixel is an engineer, and a damned good one. He knows math, understands machinery, and loves nothing more than to get his hands dirty taking things apart and getting to know how it all works. He knows his understanding for the mechanical does not extend to people. When his fellow escapees decide to select a Captain for their hijacked ship, he finds himself in a unique position where his vote matters… and where he knows that the wrong decision will lead to their deaths. The problem is, as tension mounts between the crew and intimidation, threats and bribes emerge, the right vote might well lead to deaths as well. Renegades: Declaration will be available soon from Amazon, Smashwords, Kindle, Sony eBooks, and Kobo. There are several trains of thought on the future of humanity. There are some who seem to feel that technology is inherently dangerous and humanity is too flawed to use it. Like some kind of sentient fire it will turn on us and burn us. There are others who seem to think that we should therefore reject technology, and like the Luddites of old, destroy it and attempt to live without. The idea is ridiculous for a number of reasons ranging from mass starvation to disease control. We are entirely reliant upon technology to produce, store, and transport our food, to create our vaccines and drugs, to control flooding (in the form of dams and drainage), to offset drought (in the form of irrigation and water storage), and to make places livable with heating and air conditioning. Even with such a broad overview, it becomes obvious that forsaking technology suddenly would result in the deaths of millions and probably the collapse of civilization. Then there’s the theory of the singularity. There are a number of proponents, those who say that technology ever advances, and that the rate of advance will only accelerate. Most of the ideas behind the singularity, in my opinion, are aimed inwards. 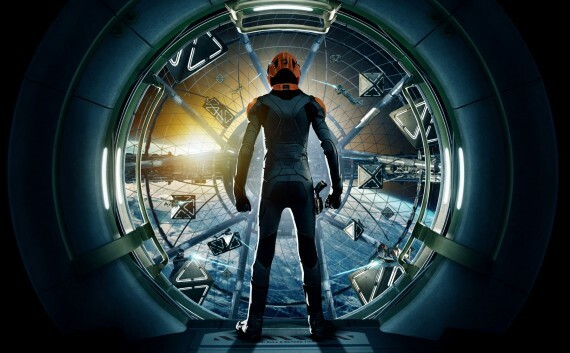 People who want to live in digital worlds, and explore the transition between humans and their inventions. Some of the believers in the singularity are the Transhumanists… these are the folks that want to enter the machine, and some of them want to meld humanity and technology together. The singularity, as proposed by Verner Vinge (a science fiction author, who would have guessed?) is mostly dependent upon some boost to intelligence or computational ability. It would rely upon either the creation of an artificial intelligence through accident or design or the boosting of human intelligence through cybernetics or biological means. The theory is that this will lead to an exponential growth in technology and that society will change at such a rate as to become unrecognizable. A simplified example of this is the cell phone and now the smart phone. I grew up in a time when they were technological oddities. I still remember when it seemed absurd to have one, in that anywhere it had reception, you could find a payphone. Why would anyone want to carry around such a large and heavy item to make calls with poor reception? Yet now, if someone lacks one, they are thought bizarre. The cell phone is invaluable in emergency situations, where seconds can save lives. The smart phone is a a far more capable computer than the desktop my parents bought in 1997. We can access internet virtually anywhere, all on a device that slips easily into a pocket. A generation ago, everyone wore watches… now, most of the younger generation just carries their phone. Why would you need a watch when you can check your phone just as easily? One interesting thing to me is that there are many science fiction authors who ignore this ‘singularity.’ If you look at classic science fiction, they often had little idea of how profoundly computers would change things. Heinlein is an excellent example. He couldn’t have known how advanced and capable computers would become. And yet, in The Moon is a Harsh Mistress, he has Mycroft, his AI who helps the lunar rebels win the war. Perhaps in some emulation, many modern Sci-Fi authors ignore the concepts of the singularity. This is seen most often in space opera, but also to an extent in exploration and ‘hard’ science fiction which is focused on pushing the boundaries of physical technology. There may be some AI’s, robots, automation, or limited cybernetics, but the focus is on ‘real’ people doing ‘real’ things. This is, I think, at its root, why the authors of these books write as if the singularity doesn’t matter. At it’s root, in this matter, it doesn’t. People will be people, whether improved through technology or not. And strong characterization is far more important than whether the main character has a cybernetic eye and arm. Then there are the ‘singularity authors’, such as Verner Vinge, William Gibson or James Hogan, who write extensively on the advances towards the singularity. They deal with AI’s, transcendent beings, networks, cybernetic improvement, and a range of technological improvement. Yet their novels often turn inward, as if the exploration of humanity is more important than what lies beyond the stars. This is as much, I think, a product of theme and personal interest as anything else. Yet is has created something of a blind spot. There is extensive science fiction about man going out to the stars, and extensive science fiction about man and computer rapidly pushing the boundaries of what it is to be human here on earth. There is rather little overlap. There are occasional novels that do overlap, but they often explore one aspect or the other in almost a sidebar, instead, focused on the main theme. Part of this, I think, is the varied readership. Many people drawn to the ideas of exploration of new worlds and stars want to think of being there themselves. They want to dream of feeling the dirt of other planets with their own fingers and they want to see these other worlds with their own eyes. 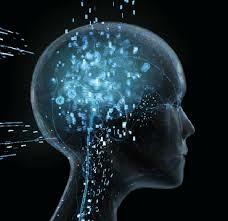 The proponents of the singularity, instead, have a fascination with the internal, and with the realms of the mind. For them, it is far more interesting to push the boundaries of the human mind, to merge with the AI and to become something greater. Yet, I think, the future of exploration will involve them both. Already we use probes and robots extensively both here on earth and for space exploration. We may well see a small crew, one or two people, with a host of computer controlled robotic minions as our first manned mission to Mars. The technological singularity could easily involve space exploration, or as I might prefer, space exploration might involve the singularity. There’s room for everyone, after all. I’ve something of a confession… I’m always curious when I look over in an airplane and see someone reading a book or kindle or what-have-you… what are they reading? Sometimes, if it’s possible, I’ll look over and see if I can catch the cover. If they’re really into reading, I hate to interrupt them and ask. Sometimes I just ask them after the flight, while we’re all in that awkward moment while we wait to disembark, you know, when everyone has their stuff and are ready to leap into the aisle and make a dash for the door. Some of my curiosity is just that, I’m naturally a curious person. Some comes from a desire to find new authors or interesting topics to read about. I think a good portion of it comes from just wanting to understand more about people. People, and what they read, are stories to themselves. The little old lady one row up who is reading Fifty Shades of Grey or the teenager across the aisle reading a calculus textbook. Those kinds of things fascinate me, because then my brain tries to put together a story about why these things happen. What we read often defines who we are because it defines what we know. The books and stories we read are a profound statement about who we are and what we care about. So then my question goes out to you… What’s the oddest thing you’ve ever read (in a public place)? What’s the oddest thing you’ve ever seen someone else reading?